* This kit comes complete with chrome-embossed Lazer Lines case. 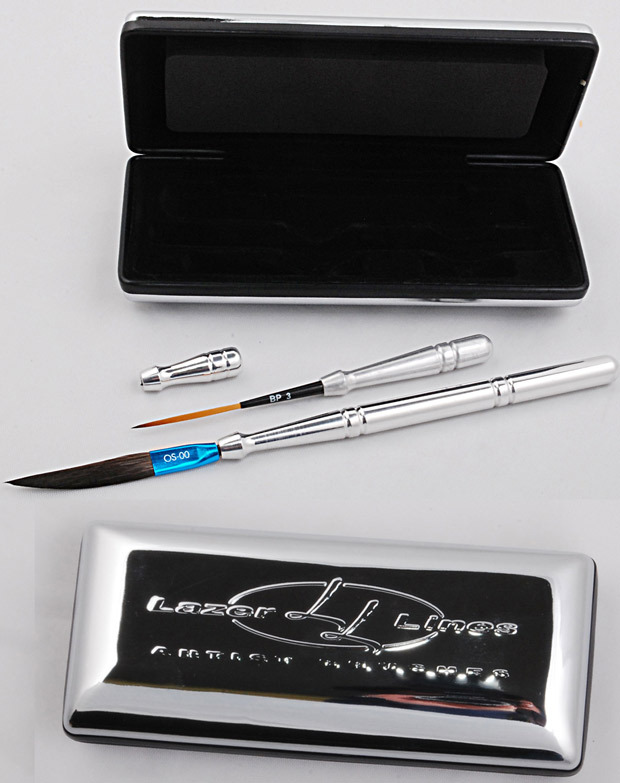 * Set includes original medium striping handle, short handle, and your choice of single or double headed long handle. * You also get your choice of two (2) Lazer Lines brush heads - please follow "Related products" list below to look at brush heads variants. Select two of them and provide us with SKU's of your choice in order comments.